Hi all! Long time no talk! Life and summer happen…am I right? Anyways, I am back and here to tell you about a fun, new company I was recently introduced to. 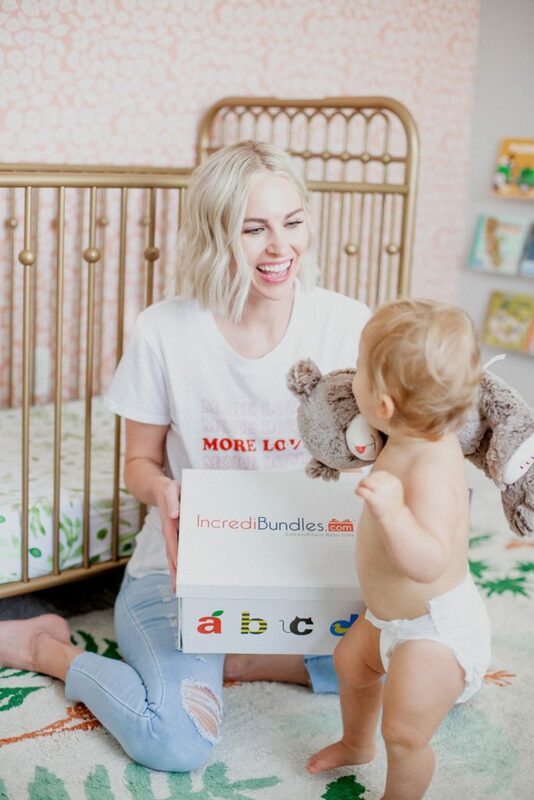 IncrediBundles is a site full of the best baby gifts. They create extraordinary bundles, ranging from book bundles, sleep bundles, and even diaper and wipe subscriptions! I was gifted an Announcement Package, which includes the cutest stuffed animal that Remi is obsessed with, and a diaper and wipe subscription! Here is a little about the subscription and how it works.